If your dog has been been diagnosed with a tracheal collapse you may be looking for some tracheal collapse home remedies for dogs in hopes of helping your dog feel a bit better. Tracheal collapse is a condition that occurs when there is weakening of the cartilaginous rings that make up the dog’s trachea. These rings eventually end up collapsing causing the airway to suddenly narrow. The result is often a typical goose-honking cough that is aggravated by excitement and exercise. Correction of the problem requires surgery (placement of a tracheal stent, prosthetic ring placement ) but there are some things you can do at home to manage this condition. If your dog is overweight, you may want to consider getting that weight down so that your dog can be more comfortable. One way to determine if your dog is overweight is by feeling the ribs. Can you easily feel your dog’s ribs or must you push down to actually feel them? In a dog of ideal weight, you should be able to feel the ribs easily under the skin and distinguish one rib from another. If you have a hard time feeling them or cannot feel them at all, then most likely there is too much fat interfering. Also, your dog should have a nice waistline behind the ribs. Your dog should have a tucked area behind the ribs compared to the diameter of the chest giving him an hourglass look. In some breeds like the Greyhound this feature is more distinct. Ask your vet if you are not sure whether your dog should shed some pounds or not. If your dog is suffering from tracheal collapse and is overweight, consider that overweight dogs have a harder time dealing with this condition, points out veterinarian Dr. Kristen McMahon. Shedding a few pounds may be beneficial for the long term. Even half a pound can make a differences! Dogs who have tracheal collapse are often coughing and this can make the dogs quite miserable. If you are concerned about your dog’s coughing, you can ask your vet for cough medications for dogs (such as Temaril p, Tussigon or torbutrol) to help him cough less. In addition, your dog may benefit from the addition of a humidifier or vaporizer. Dry air can be irritating to the dog’s airways, particularly in the winter. You can try running a humidifier or vaporizer (without medications) to help your dog breath better. If you do not have a humidifier, you can try turning on the hot water in your dog’s bath tub and close the door so that it gets steamy. You can then bring your dog in the bathroom and let him breath the steamy air, further suggests Dr. McMahon. Don’t let your dog get in contact with the water though, just let him breath the warm, humid air! A collar that puts pressure on the dog’s neck will only make tracheal collapse worse. If your dog is a puller this constant pressure can cause damage to the trachea, but also dogs who pull occasionally are at risk. For safety sake, it’s important to invest in a harness. This way, if your dog happens to pull to chase a squirrel, no pressure will go against the trachea. There are different types of harnesses for dogs. For larger dogs who tend to pull a lot, a no-pull harness is the best option, In this harness, the leash attaches to a ring in the front of the dog’s chest. 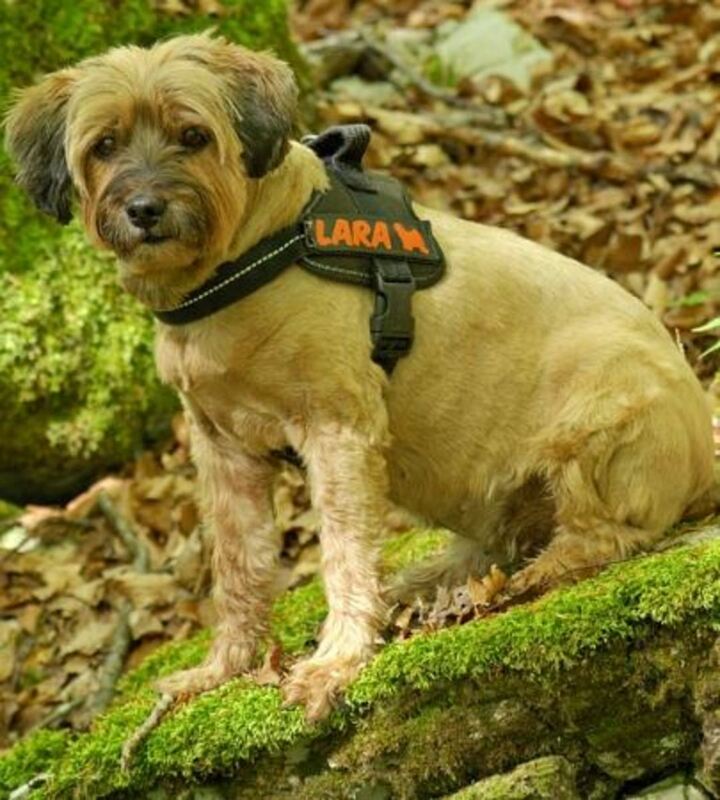 Examples of no-pull harnesses include the Easy-walk harness, the Freedom harness, the Sensation harness, and the Walk your dog with love harness. Other harnesses may have a leash that clips to a ring located by the dog’s back area. These harnesses can actually encourage a dog to pull, but they might work well for small dogs who don’t pull much. Coughing due to tracheal collapse can be often triggered by strong emotions such as enthusiasm, fear and excitement. It’s therefore important to keep your dog calm. This can be easier said than done with some dogs, but there are many calming aids out there that can help. Thundershirt, pheromone plug-ins and calming supplements are just some choices on the market nowadays. Providing your dog with training and mental stimulation can also help your dog become a calmer, better under control companion. Some dogs with tracheal collapse may get anxious when they are having a coughing episode which only makes matters worse. If your dog gets anxious and starts gulping big breaths in, this only causes the trachea to remain in a collapsed position. To calm your dog down and encourage her to breath normally, you can try this. With your dog standing in front of you, lift the front legs up so that your dog’s back is resting against your shins and start gently rubbing the belly. This seems to help straighten the trachea and therefore calms the dog down, explains veterinarian Dr. Fiona. Some dog owners find that they can calm their dog down by extending the neck and rubbing the throat area. It’s always a good idea to keep an eye on your dog’s gums when he or she is having an episode. 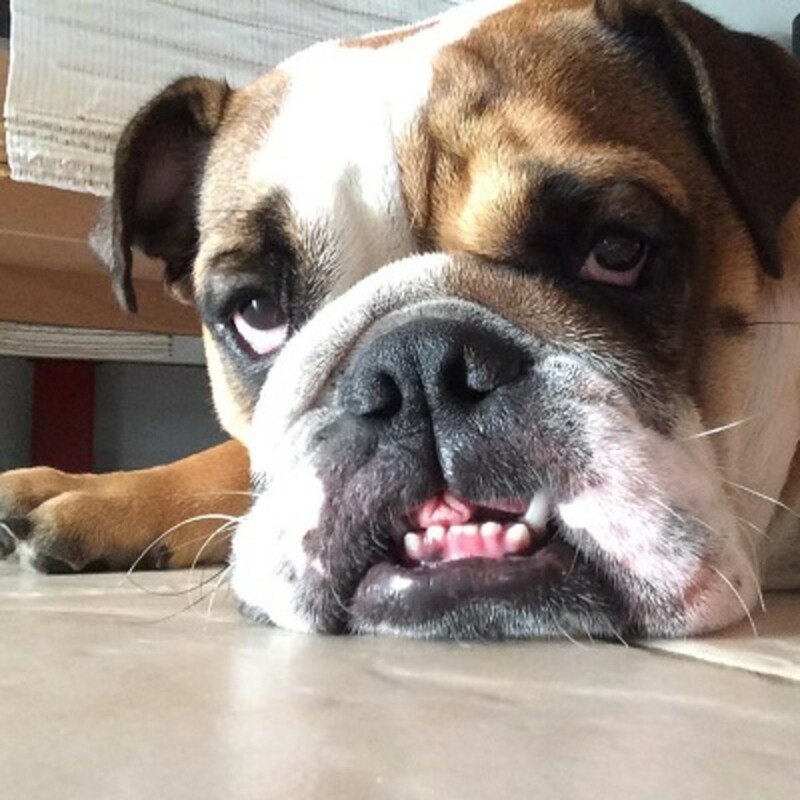 If your dog allows you to (don’t do this if you fear your dog may bite) lift the lip and look at the gums. They should be a normal bubble gum pink color. If the gums appear pale or blue, please see your vet. Since the dog’s trachea consists of cartilage, your dog may benefit from some joint supplements that are designed to help joint cartilage. Dr. Kristen McMahon suggests putting the dog on joint supplements such as Cosequin or Dasuquin. Both these supplements are available over the counter. When dogs have a collapsed trachea, they are prone to get stuck in a cycle of cough – inflammation – more coughing – more inflammation. 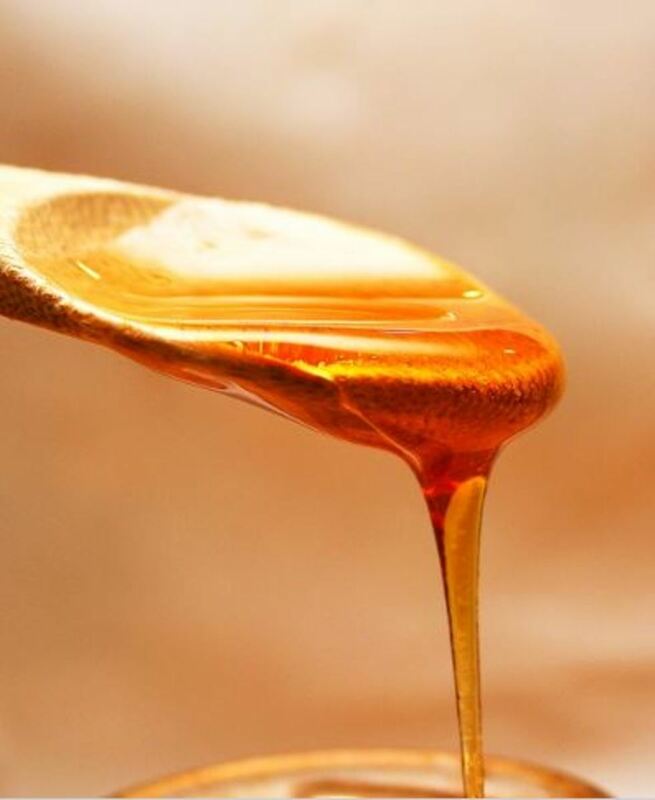 To help break the cycle your dog may need to be on a cough medication or for mild cases you can try this natural recipe: slippery elm with honey. Slippery elm comes in powder form and when mixed with water it becomes slimy which helps soothe the throat. Dr. McMahon suggests to boil one cup of water and mix in 1 heaping tablespoon of slippery elm. The mixture should be stirred carefully and then the heat should be turned off. Then 1 tablespoon of manuka honey should be added. She suggests giving 1 teaspoon of this concoction up to 3 times a day for a small dog like a Chihuahua. Something to consider when using slippery elm is that it can decrease the effectiveness of other medications your dog may be taking. To prevent this interaction, you can give slippery elm at a different time, for example at least one or two hours after giving other medications. Always best to consult with your vet before trying home remedies and supplements.